I realised that it was a long, long time since I had investigated a mystery with Miss Silver. The delay was partly because I was wonderfully distracted by lots of Patricia Wentworth’s other books being sent back out into the world; but it was also because after loving books one and two I was rather disappointed in book three. I reached the point when I realised that it was time to try book four, and I am so glad that I did. It’s my favourite Miss Silver book to date. The story begins on a train, with Miss Silver travelling back to London after a seaside holiday. An attractive young woman – clearly in a state of shock – rushes into the compartment. Miss Silver is concerned and she very tactfully begins a conversation; her companion responds, thinking that Miss Silver is rather like her old governess. When the train reached London Miss Silver pressed one of her business cards into Lisle’s hand, and said that she should call if there was ever anything at all she might do to help. Lisle felt terribly alone. She was American and she had no family or friends of her own in England. Her money was managed by a trustee and she knew that Dale, her husband, was unhappy that he wouldn’t produce the funds that he needed to save the family home. He said that if Lisle was only a little more persuasive he would have the money and everything would be alright, but that she really didn’t understand how important it was. She didn’t understand, but she had tried for her husband’s sake. The only person who seemed to care about her was Dale’s cousin Rafe, but Rafe was charming to everyone and so she could never be sure that he really was her fiend. She knew that Dale’s other cousin, Alicia, whose rich, titled husband died in an accident at about the same time that Dale’s first wife hated her. Dale and Alicia had been expected to marry, and she wondered if maybe they would when they had the money to secure the future of the family home that they both loved. 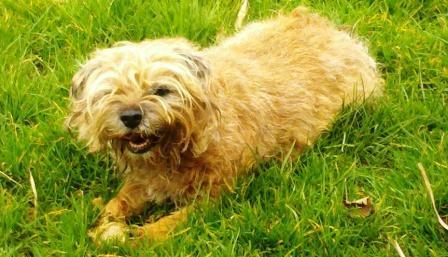 Lisle had already had one accident – she had nearly drowned – and she would have others. A young woman was found head at the foot of a cliff, and a young man was charged with her murder. It seemed to be an open-and-shut case, but Lisle feared that it wasn’t. A newspaper report about the trial caught Miss Silver’s eye, she realised that it was very close to the young woman she had met on the train, and she decided that she had to investigate. She knew the local policeman from her days as a teacher – he had been one of her pupils – and so she asked him to recommend a local boarding house, and she told him a little of what Lisle had told her. It was lucky that she did, because Lisle really was in terrible danger. I found a great deal to like in this book. Lisle was more damsel in distress than heroine, but I understood the difficulty of the position she found herself in; with nobody outside the family circle to turn to, and not know who inside the family circle she might trust. I appreciated that she was young and inexperienced, that she coped with a great deal and that she found some courage when she most needed it. I was inclined to like her, and I found it easy to understand why she thought and acted as she did. I loved the echoes of Daphne Du Maurier’s ‘Rebecca’ in Lisle’s situation; and the echoes of Agatha Christie’s Miss Marple in Miss Silver’s relationship with ‘her’ policeman. The details of characters, clothes and settings were so well drawn, as they always are in Patricia Wentworth’s books, making this a lovely period piece. I continue to be impressed with Miss Silver’s knitting speed and prowess, and in this book I learned that she can crochet too! The dialogues between Lisle and Dale as he tried to make her understand why his family home was so important, and she stood her ground because she knew there were other things that mattered more, were wonderfully well done. The playing out of the story was so dramatic – a lovely mixture of the sensation novel and the golden age crime novel – and I was on the edge of my seat until the very end of the story. The ending that she chose made me realise that Patricia Wentworth had understood the psychology of her subject matter perfectly. The is definitely Miss Silver’s best case to date – though she wasn’t at the centre of the story she did have an important role to play – and it won’t be too long until I move on to the next one. I am excited to get started on Patricia Wentworth books – I seem to not have heard of her. I had heard of Miss Silver books just hadn’t connected the two. I just recieved a Patricia Wentworth book from Dean Street press – one of the Furrowed middlebrow re-issues which isn’t a Miss Silver book. I only spotted her a few years ago when Lisa @ TBR313 was singing her praises. Her books are a little variable but they are always readable and I think you’ll enjoy them too. I read some of the Miss Silver mysteries when I was much younger and although many the details now escape me I do remember enjoying them and retaining a fondness for this kind of premise. Thanks for the lovely reminder! You’re very welcome – Patricia Wentworth did a particular thing very well, I think. That does sound very well done indeed. Yes it is. The books are a little variable but this one was definitely the right one at the right time. Lovely review, Jane. The Miss Silver books are ones I’ve meant to try for ages and I really should get round to picking one up! I’d definitely recommend trying one when you’re looking for a little golden age escapism. Thia is auch an interesting post. 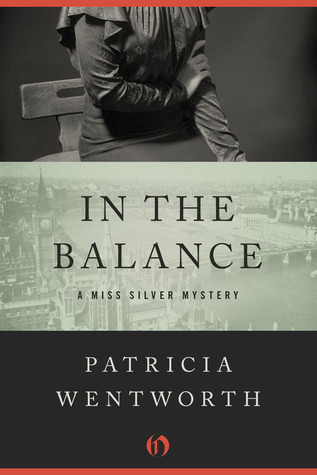 I haven’t read any Patricia Wentworth in years – and I wasn’t aware she wrote Silverless books. I’m off to look on my library’s catalogue right now! I haven’t read Miss Silver in a while myself, because I thought I have only the very early ones and very late ones left. But I’ve missed reading this one, and I think I need to remedy that! I am shocked at the on-line prices for this book! I’ve been able to find most of her other books in later edition paperbacks, but even the paperbacks of this one are out of my price range. This one seems to have been missed when the reissues happened over here, and Open Road Media who have the rights on your side of the Atlantic only do ebooks and I imagine that’s why the price of hard copies have gone up. I should have mentioned that I resorted to an audiobook and the reader was very good. I’d be tempted to go for others that way if I haven’t found them and the library doesn’t have them. But if the alternative don’t work for you I can but wish you happy hunting. I can’t say that this one is essential but it’s one of her best that I’ve read and if a book had to be lost it’s a pity it couldn’t be one of the weaker ones. It had a fair bit of clifftop drama that didn’t make me think ‘not again!’ and I particularly liked the underpinning with quite serious themes and the echoes of other books.